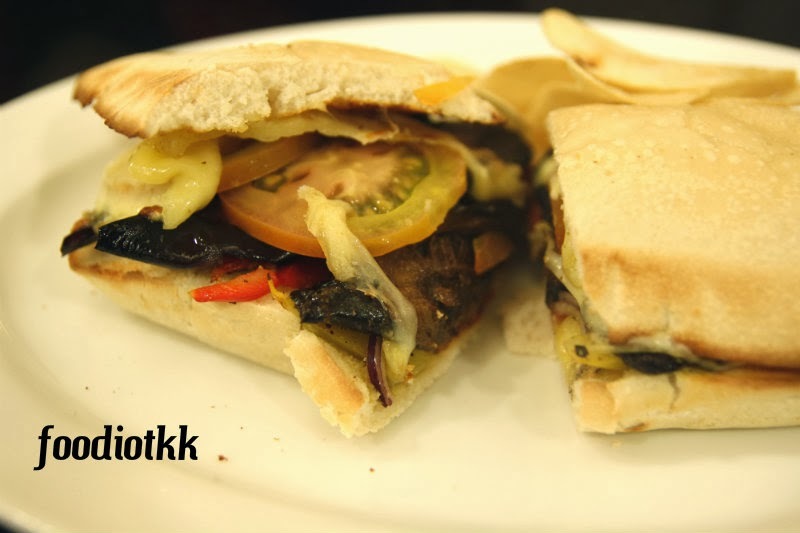 My favourite sandwich cafe now opened in Kota Kinabalu! 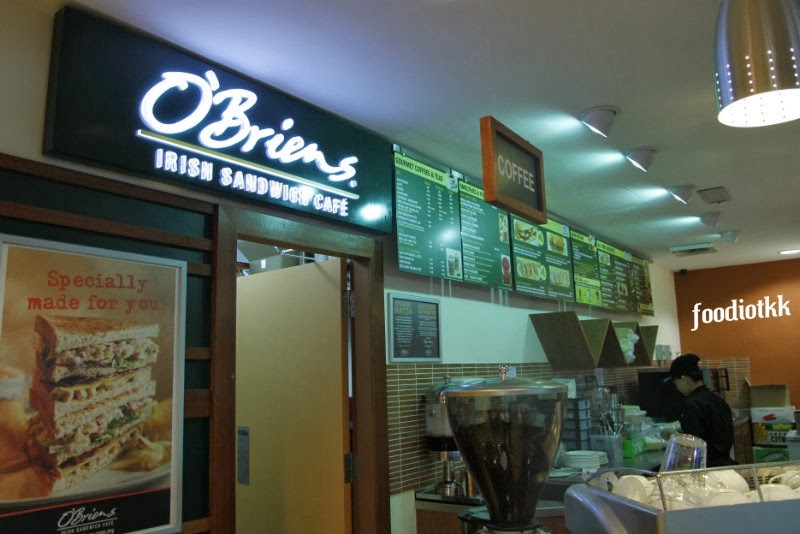 Recently, the O'briens Irish Sandwich Cafe expanded its footprint to East Malaysia by the opening of the first branch at Kota Kinabalu International Airport (KKIA), Sabah here. 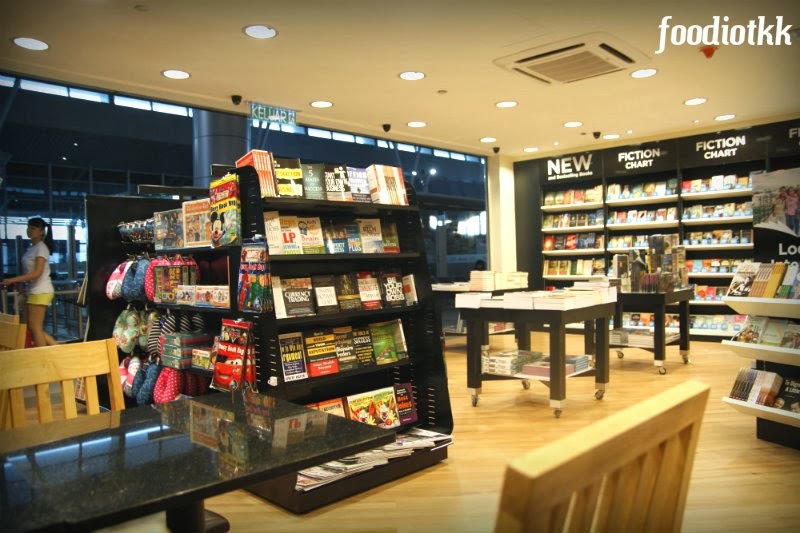 The cafe is located at the Departure Hall at Level 3, just next to the British-born newsagent and magazine store -- the WHSmith. 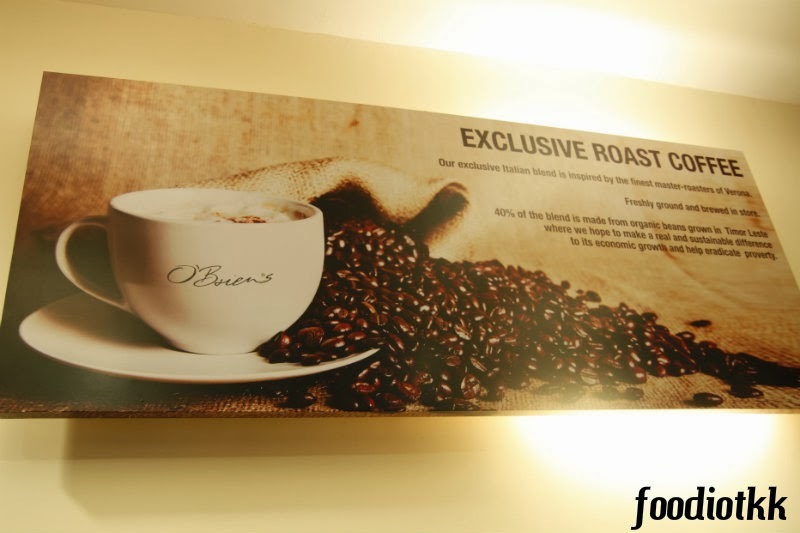 Like other O'briens, this cafe has a large refrigerated display cabinet showing the ingredients such as hams, grilled chicken, tomatoes, variety of cheeses, onions, olive, and fresh lettuces, for you "build" your own sandwich. 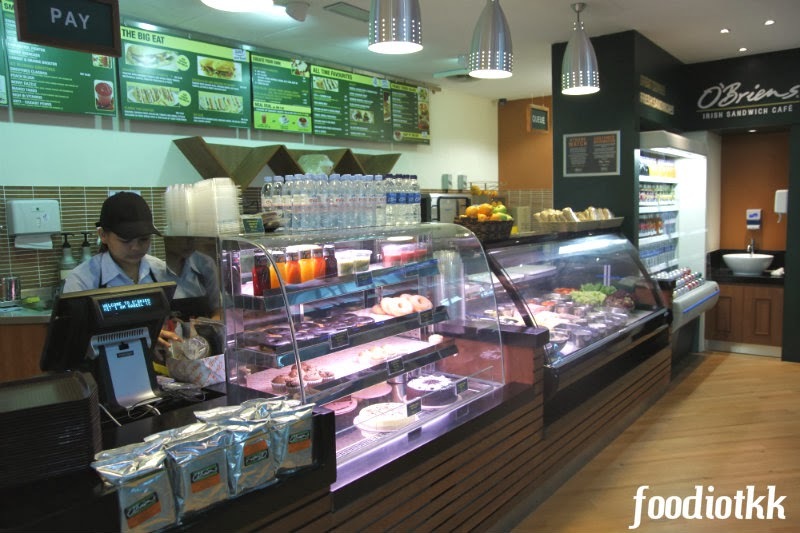 You are allowed to mix-and-match the sandwich fillings or just pick one from the menu! 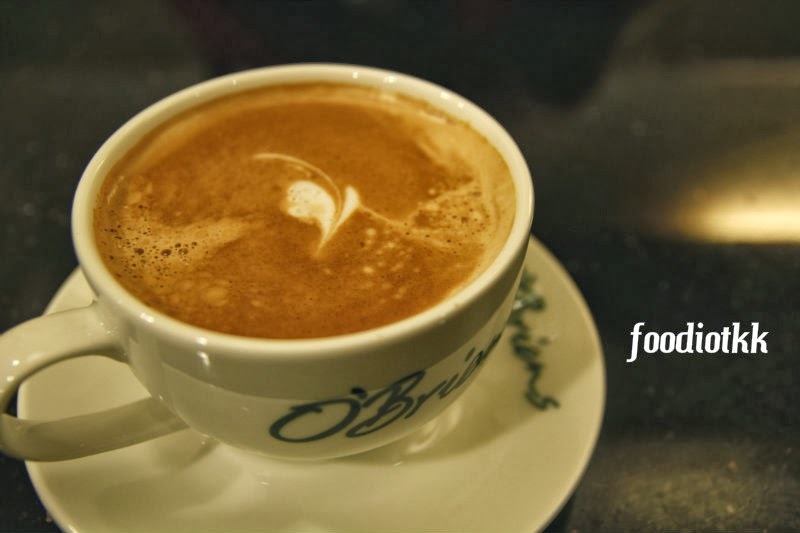 Choose from Ciabatta, Subs or sandwich bread and you are on the way to an Irish experience. The portion was very small, I chose the option to add on grilled chicken with extra RM5. However only after we were served, we realised that the cashier forgot to enter the top-up onto my order. Luckily the sundried tomato was very nice! 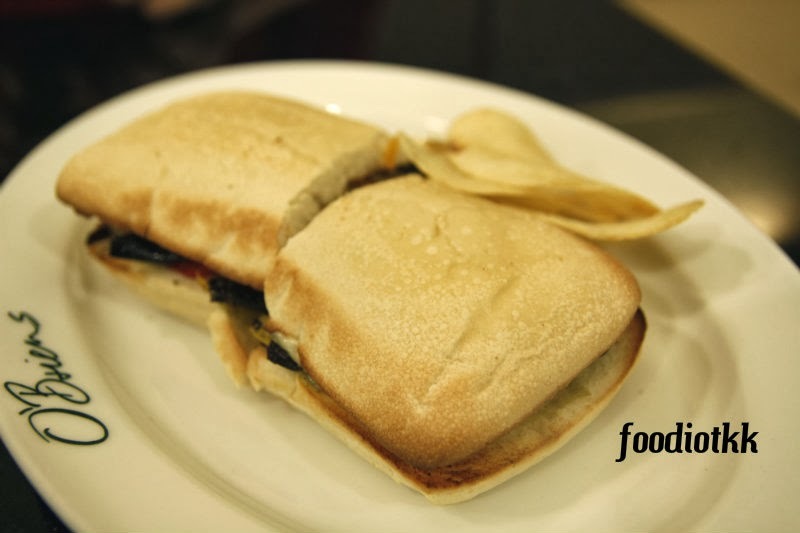 Pay RM20 to get a sandwich and few pieces of potato chips. Worth it?